I have been a fan of Ramsey Campbell’s work since the 1980s, probably along with the rest of the world. He is truly the master of eerie nightmares in the form of frightfully delicious prose, unique in his ability to thrust normal people into abnormal situations. And now there is his newest, titled The Booking, available from Dark Regions Press on June 7, 2016. The Booking is a novella that packs more creepy and unearthly writing into a small package than most full-length novels ever hope to achieve. But of course; it’s Ramsey Campbell. The Booking begins with the hapless Keifer, unemployed and seeking a job. He comes across an odd bookstore named Books Are Life. The eccentric owner, Brookes, hires Keifer to update the corridors and corridors of old books into a website in an attempt to bring Books Are Life into the 21st Century. Yet, Brookes doesn’t seem eager to part with his treasured books and when he does, new copies seem to materialize from nowhere. On the edge of the story is the question: are they really being watched or is Brookes more crazy than eccentric? The Booking is filled with tense psychological horror, grabbing the reader and not letting go. In reading this book, I was glued to the pages and couldn’t put it down until I read the entire novella in one sitting. I am usually more patient than that, able to put a book down and then get back to it when I can, but this didn’t—couldn’t—happen with The Booking. It had a relentless grip on me. As I mentioned before, The Booking contains an ordinary person being led into an extraordinary situation. Ramsey Campbell seems to achieve this with a lot of his books, perhaps it is his signature; yet no two are alike. 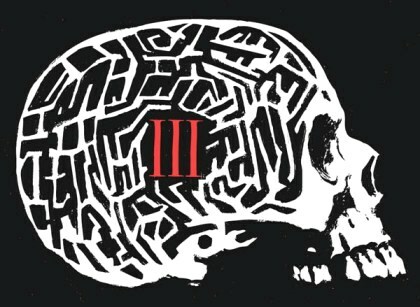 Each book he writes creates a uniquely bizarre and ghastly psychological experience. I highly recommend The Booking because it is a mysterious, cryptic—and extremely satisfying—experience. Good things definitely do come in small packages. 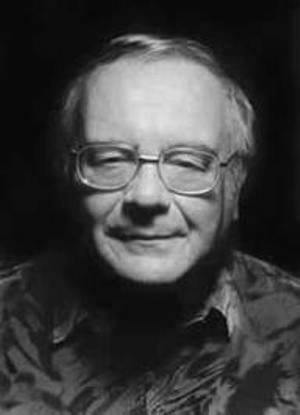 The Oxford Companion to English Literature describes Ramsey Campbell as “Britain’s most respected living horror writer”. 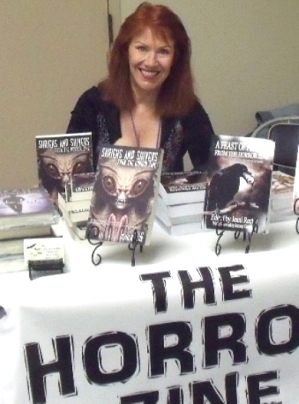 He has been given more awards than any other writer in the field, including the Grand Master Award of the World Horror Convention, the Lifetime Achievement Award of the Horror Writers Association and the Living Legend Award of the International Horror Guild. Among his novels are The Face That Must Die, Incarnate, Midnight Sun, The Count of Eleven, Silent Children, The Darkest Part of the Woods, The Overnight, Secret Story, The Grin of the Dark, Thieving Fear, Creatures of the Pool, The Seven Days of Cain, Ghosts Know and The Kind Folk. Forthcoming are The Last Revelation of Gla’aki and The Pretence (both novellas) and Bad Thoughts. His collections include Waking Nightmares, Alone with the Horrors, Ghosts and Grisly Things, Told by the Dead and Just Behind You, and his non-fiction is collected as Ramsey Campbell, Probably. His novels The Nameless and Pact of the Fathers have been filmed in Spain. His regular columns appear in Prism, Dead Reckonings and Video Watchdog. He is the President of the British Fantasy Society and of the Society of Fantastic Films.